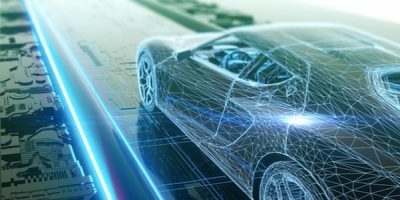 Analog Devices and B-Secur have collaborated on biometric authentication technologies for the automotive industry. Analog Devices (ADI), with B-Secur, will develop a complete biometric authentication system for use in vehicles. ADI supplies signal conditioning technology with B-Secur’s electrocardiogram (ECG) biometric algorithms software to enable vehicles to authenticate and identify drivers and passengers. The technology is designed to detect driver readiness and wellness by monitoring the driver’s vital signs for any irregularities. The ECG identification capability can be used to access features such as vehicle entry, immobiliser deactivation, infotainment personalisation and online payments for ridesharing usage or personalised insurance payments, for example. “B-Secur’s ECG biometric technology can not only quickly and securely verify identity, but also turn the data into meaningful insights on driver/passenger wellness, including stress and drowsiness,” said Ben Carter, chief commercial officer, B-Secur. Analog Devices develops analogue technology to solve engineering challenges, with products that sense, measure, power, connect and interpret. B-Secur creates software solutions that use ECG biometrics for user authentication to health and wellness metrics. The company develops licensing partnerships for bespoke solutions based on security and health monitoring.